Happy Birthday to my daughter! 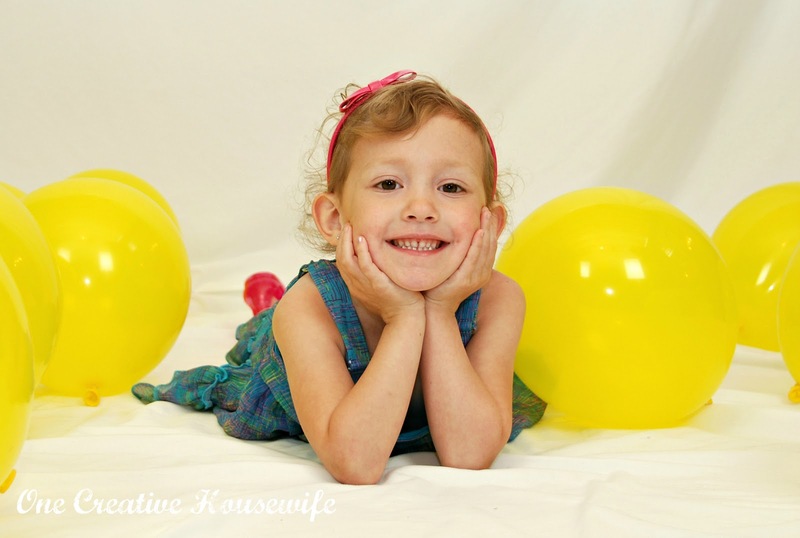 I can't believe she is 5 years old already!!!! When she woke up this morning I asked her what she wanted to do today. She immediately said, "A Craft"! 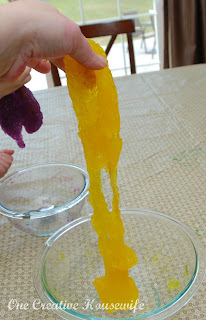 After sorting through some ideas that I have pinned on my Kids Crafts and Activities board on Pinterest, she decided on Slime from Tot Treasures. There are only 2 ingredients! 2. Pour your ingredients into a bowl. 3. Mix with your hands. 5. 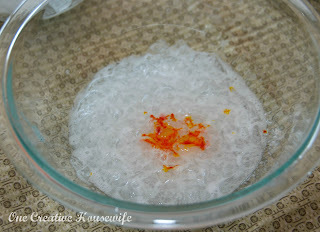 Mix with your hands until you get desired texture. This is where we ran in to a little bit of a problem. Our "Slime" was more of a gooey blob and less slime-like than anticipated. 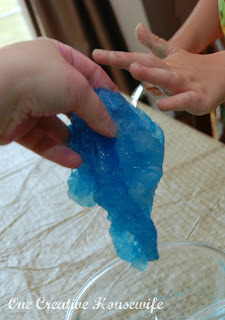 As we played with it did get more slime-like, but not like Tot Treasure's Slime. Nevertheless we had a ton of fun with it!!!! 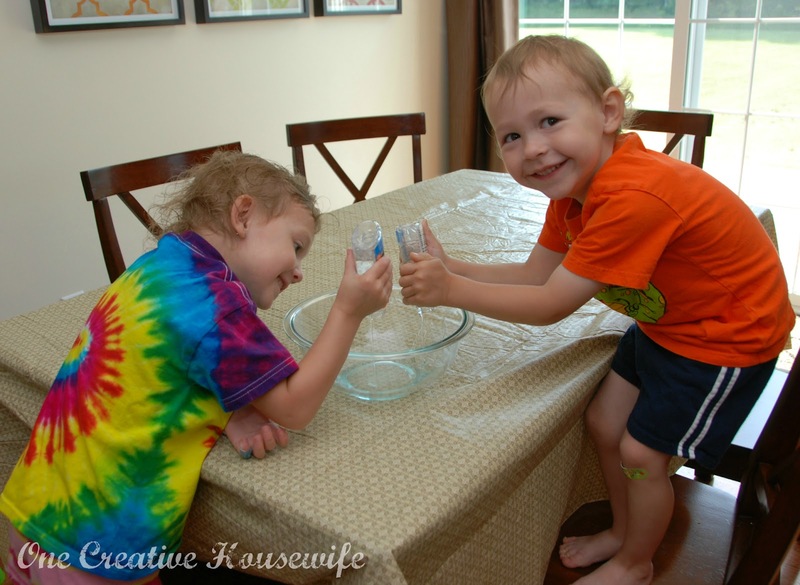 One of the greatest joys in my life is seeing my kids play happily together. My 3 year-old son played with this for about 30 minutes, and my 5 year-old daughter played with it for about 1 hour. I am very happy to say that clean up is a breeze! Just throw the bulk of it away and with a little soap and water everything is back to normal. This is definitely something we will be doing again. It is so easy to make and clean up, and most importantly a lot of fun! Those are some BIG smiles; they were loving it you can tell! :) We'd love to invite you to join us on Saturday Show & Tell @ Cheerios and Lattes. I know my readers would love your ideas too!